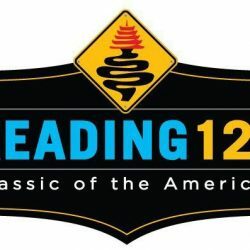 Reading 120 Race is ON for 2017! Race organizers John Eustice and Laura Reppert explained the importance of this internationally acclaimed race and the need for someone within the racing community develop the concept and design for the race and the importance of having the local community handle organizational issues. The proposed route for the Reading 120 may include Reading, Lower Alsace, Alsace Twp., Mt. Penn, Exeter, St. Lawrence and Oley. The City will be reaching out to each municipality, the County and the State delegation to get their buy-in for the 2017 race and to ask them to refer a representative to serve on the oversight committee. Mayor Scott is hopeful that this year’s race will continue to grow and put a positive light on the City of Reading and the participating municipalities. Later Mayor Scott learned that the Reading Eagle Company is in total support for the continuation of the race here in Berks County.